From the one remaining traditional beret manufacturer in Spain, BOINAS ELÓSEGUI in Tolosa (Spanish Basque Country), comes this traditional Basque Txapela, a beautifully made very large beret in the renaissance / artist's style in a very generous Spanish size 15 (34.9 cm). Made from pure virgin merino wool and treated with Teflon, it's waterproof and lined with satin. It can be pulled down low over the brow acting as a buffer against strong winds and snow. Available in black and navy blue colours. From the one remaining traditional beret manufacturer in Spain, BOINAS ELÓSEGUI in Tolosa (Spanish Basque Country), comes this traditional Basque Txapela, a beautifully made very large beret in the renaissance / artist's style in a very generous Spanish size 16 (37.2 cm). Made from pure virgin merino wool and treated with Teflon, it's waterproof, lined with satin and features a leather band with a ribbon and trim. It can be pulled down low over the brow acting as a buffer against strong winds and snow. 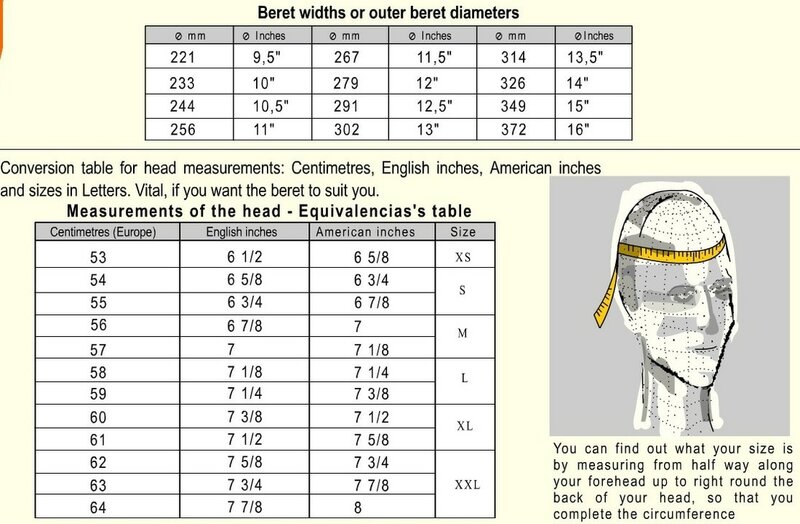 How to find your head measurement for a beret. 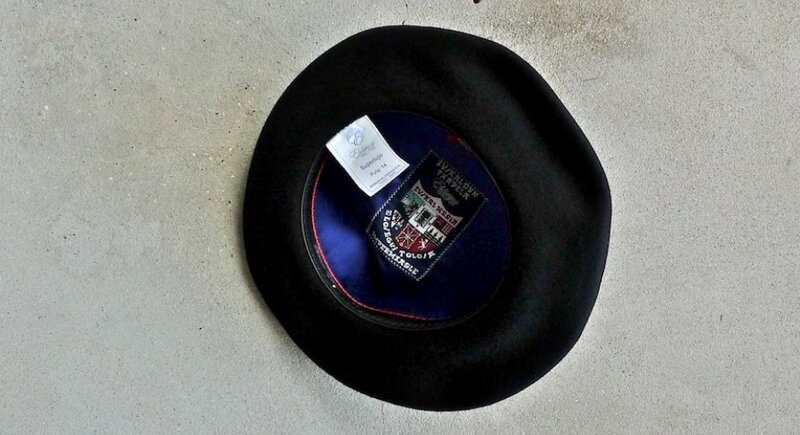 Berets are worn with a closer fit than your panama or trilby. Whereas with other hats you normally go up a size from your head measurement, with a beret you are likely to stay the same. To find your beret size measure your head by running a soft tape around the crown of your head about half an inch above the ears. Hold the tape tightly but with enough slack that you can slide the tape measure about. The tightness of the tape will be about the same as the tightness of the beret's headband and should give you the correct size of your beret. We recommend that you do this three times to provide an average.